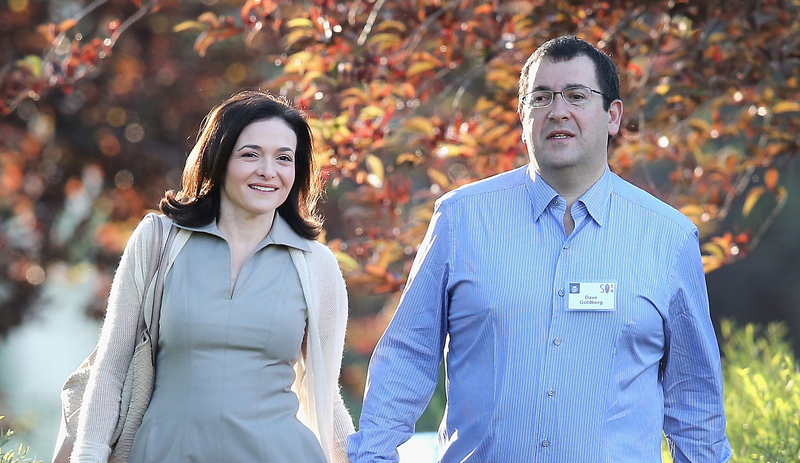 Thirty days after tech executive David Goldberg died while vacationing in Mexico with his family, his widow, Sheryl Sandberg, has posted a lengthy statement on Facebook marking the grieving period and reflecting on her loss. Sandberg, the Chief Operating Officer of Facebook, said she wanted to give back after the outpouring of sympathy and wisdom she's received, both in private and public. She expressed gratitude for the time she had with her husband and a renewed appreciation for each day of life. And she reflected on the void left by losing a spouse. I have learned how ephemeral everything can feel--and maybe everything is. That whatever rug you are standing on can be pulled right out from under you with absolutely no warning. In the last thirty days, I have heard from too many women who lost a spouse and then had multiple rugs pulled out from under them. Some lack support networks and struggle alone as they face emotional distress and financial insecurity. It seems so wrong to me that we abandon these women and their families when they are in greatest need. I have learned to ask for help--and I have learned how much help I need. Goldberg, the CEO of web survey company SurveyMonkey, was just 47 when he died May 1 after falling off a treadmill at a resort in Mexico. Local investigators said it was the result of head trauma, but autopsy results suggest Goldberg had a heart arrhythmia that may have contributed to his death. Sandberg, who is also the author of the widely-discussed book on empowering women in the workplace, "Lean In," has said choosing a life partner is the most important decision a woman can make. She credited Goldberg for helping to make her success possible. "Everyone knows marriage is the biggest personal decision you make, but it's the biggest career decision you make," Sandberg told Norah O'Donnell during a "60 Minutes" profile in 2013. "Because you cannot have a full career and a full life at home with your children if you are also doing all of the housework and child care. " She said they split household work and parenting responsibilities equally. "It turns out that a husband who does the laundry, it's very romantic when you're older. It's hard to believe when you're younger. But it's absolutely true." The two met while living in Los Angeles and married in 2004. They had two children together. If the day I walked down that aisle with Dave someone had told me that this would happen - that he would be taken from us all in just 11 years - I would still have walked down that aisle. Because 11 years of being Dave Goldberg's wife, and 10 years of being a parent with him is perhaps more luck and more happiness than I could have ever imagined. I am grateful for every minute we had. A colleague told me that his wife, whom I have never met, decided to show her support by going back to school to get her degree--something she had been putting off for years. Yes! When the circumstances allow, I believe as much as ever in leaning in. And so many men--from those I know well to those I will likely never know--are honoring Dave's life by spending more time with their families. "There is no end to grief . . . and there is no end to love." I love you, Dave. Read the full post on Sheryl Sandberg's Facebook page.